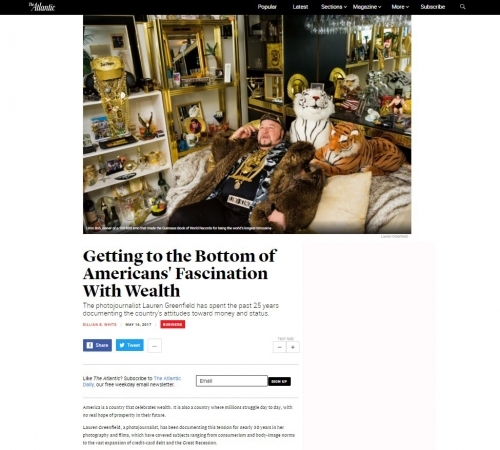 I recently spoke with Greenfield about her latest book, Generation Wealth, an enormous undertaking made up of Greenfield’s photography as well as short reflections on wealth and money. Generation Wealthdocuments the last quarter-century of America’s obsession with and desire for money and the material goods that signify status—and what happens when people lose all of it. The conversation below has been lightly edited for clarity.